Dr. Danielle Chan is board certified in diagnostic radiology and has a practice experience of nearly 10 years. She graduated from Loma Linda University School of Medicine, did an internship at Kettering Medical Center and completed her residency at Indiana University School of Medicine. A fellowship training program followed, at Mayo Clinic Arizona. Dr. Chan has contributed to several medical publications as well over the course of her career and her research interests include image-guided breast biopsy, abdominal imaging, and cross-sectional imaging. She is also a member of the American College of Radiology and the Alpha Omega Alpha Medical Honor Society. 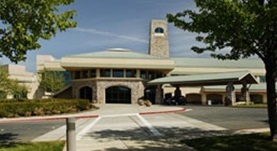 At the time, Dr. Danielle Chan practices in California, at Sutter Roseville Medical Center.